The most common football kicking injury is straining or tearing the hip flexor and the acetabular labrum. Coach Brent discusses kicking injury prevention tips. 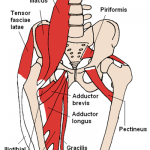 The Hip Flexors are a group of muscles that help flex the femur (thigh bone) onto the lumbo-pelvic complex, i.e. pull the knee upward. (Wikipedia). 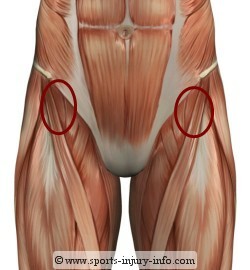 The Hip Flexors are triggered every time you kick or punt a ball whether football, soccer, rugby, etc. As you can see, various sports are represented here. This goes to show just how common of an injury it is! So how do you injure your hip flexor and what are some signs of having an issue? In my calculations, these are the 3 most likely ways other than a direct blow to a specific spot on your hip that you can trigger a hip flexor injury. The feeling where you constantly need to stretch it or can’t sit with legs bent for too long without discomfort. What Can I do if I think or know I have a Hip Flexor Injury? Follow your trainer, therapist or doctor’s recommendation. Implement a stretching and cautious strength building routine targeted around the surrounding areas of the injury to help strengthen the overall area. REST and ICE the injured area daily. (Game-plan here is to alleviate inflammation). Q. What is an NAISD, is that a steroid?! A. No No! NAISD is the acronym for Non-Steroidal Anti-Inflammatory Drug, which simply put, works to combat the inflammation along with your rest and ice methods. I was taking 2 Aleve, 2 times a day for example and it certainly helped to alleviate my mild pain and help get me through the day while I was trying to recover from my hip injury. After some rest and proper rehab of your injury, you recover to regain most or all of your strength and you’re back on the field normal! (This is usually more likely with injuries that are recognized and addressed quickly). You may have to have surgery to correct the issue and possibly have 4-6 months or more of downtime during recovery after surgery. I had to have surgery because my issue was not caught right away and all the while I just thought I was sore from kicking and it was normal to have that pain every day in my hip, but it is NOT normal. If I would’ve caught mine earlier on I probably could have saved myself from surgery and you can too if you are diligent about your practice routine and pay attention to any change in your physical health! As soon as you recognize a persistent pain that doesn’t seem to get better after a couple days, please go tell your trainer right away and work through the levels (1. Trainer, 2. Therapist, 3. Doctor/Specialist) that we discussed earlier! 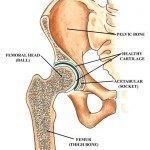 I tore several areas within my hip flexor. The injury was caused due to overuse and kicking too many balls too often. I am now a firm believer in a specific practice routine with careful monitoring of how many balls are kicked in each session. I ensure that at all camps and private lessons we do everything we can to prevent this from happening to any of our students. The technical name of the injury I had was “acetabular labral tear” in which my only 2 solutions were to 1. Just deal with the pain the rest of my life or 2. Consent to arthroscopic surgery in my hip. It sounds pretty gross but what they had to do was literally ‘pull out’ my leg from the hip joint and then go in and debride (or ‘clean up’) the labrum and smooth it out so that there was more room for the leg to swing around the ball. Think of it as everything was too ‘tight’ in there and every time I kicked, the bone would rub on the hip joint and put undue pressure on that injured area and it HURT like crazy! I knew something ‘was up’ because I would be sore/tired after kicking only 20 balls. My leg would feel ‘swollen’ and inflamed after every kicking session. I seemed to constantly need to ice and take anti-inflammatory medicines to manage the pain/inflammation, but it never got better! Finally, I called around and found Kevin Rausch, a renown Sports-Minded Physical Therapist based in Laguna Niguel, CA. I worked with him 3x a week and he helped me get a lot stronger, but after it was all said and done, I still needed surgery because the damage was irreversible. I had the surgery and I was on crutches for about 2 weeks! It was awful because I couldn’t do anything on my own and I was rather immobile for a few days and totally ‘out of it’ after surgery! Fortunately, I got hooked back up with Kevin right after surgery and we followed a strict rehabilitation plan for a few weeks which later turned into more intense sports training and eventually he nursed me back to ‘almost’ full strength. I say almost because after injuries I feel your body most of the time can never get quite back to how strong you originally were (although sometimes, people heal up stronger than before!). The long story short I used to be able to kick upwards of 65 yard field goals on a good day but now after the injury and being out of kicking and exclusively into coaching I have a tough time going back outside of 50 yards (haha). What’s the moral of the story? Let’s make sure you don’t over kick and use this experience as a lesson to help you! This concludes our 5 part series on The 5 Most Common Kicking Injuries. I hope you enjoyed it! To see all 5 parts of this series search by Tag “Kicking Injuries”. Kevin Rausch of Rausch Physical Therapy & Sports Performance provides rehabilitation to athletes and active patients to treat overuse injuries, rehab from surgery and help to prevent future injuries by treating and managing their overall health. His practice is based in Laguna Niguel, CA. Warren G. Kramer III, MD. of Kramer Orthopedics is an Orthopedic Surgeon specializing in Arthroscopy, Shoulder, Hip and Knee Specialist. (He performed surgery on my hip) and is based in Newport Beach, CA.